Having been in the brand marketing industry for several years, we understand that every business requires a different marketing strategy as same rules don’t apply to everyone. When we received this project, we were asked to create a complete brand promotion and gather marketing material from scratch. This included everything from personal branding to custom logo designing. From the beginning, we followed an integrated approach while designing the logo, business cards and customizing her social media accounts. We put a lot of focus on bringing a brand image that could depict the business aim and vision clearly. We chose beautiful, elegant designs keeping the brand’s customers in mind. Most importantly, we were focused on building a brand image that can be easily embraced by the target audience. A visually appealing presentation is quite important to showcase wedding florist business. And, keeping that requirement in mind, we chose a pleasing color palette for the brand to stimulate visual appeal. 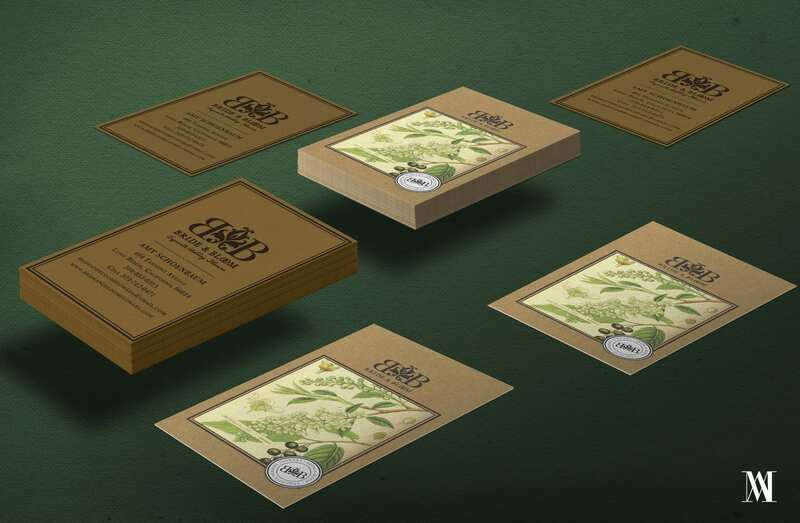 While designing a business card, we followed good design principles so trends were avoided as well. We double checked all our designs before finalizing them. As we understand the importance of an attractive email signature in email marketing, we kept graphic elements simple and gave more weight to valuable information only. In addition to this, we also customized their social media accounts. We deployed our social media experts to make their account more engaging and attractive for users. We created a customized look to each and every account and made them more attractive and user-friendly. And, finally, we got success in developing a brand image that promises ease of use, functionality, fame, and overall value.